Hundreds of bathtub brands have sprouted in the market in the last few years, thus making it confusing for us to choose the best bathtub. If you don’t want to go through the trial and error process, then it is better to just stick to well-known bathtub brands like Kohler. Throughout the years, the “best Kohler bathtubs” has dominated the Google search, a solid indication how popular and trusted the brand is worldwide. Most Kohler bathtub reviews cited highly durable and thick enamel coating as the primary reason that puts Kohler bathtubs ahead its competitions. Whether you are looking for a soaking, drop-in, or whirlpool bathtub, Kohler has a lot of bathtub styles in store for you to choose from. To make the selection process easier on your part, we listed down 7 best Kohler bathtub options for you to choose from. A classic looking bathtub is what Kohler offers with the Archer tub model. It is a soaking bathtub, perfect for your “me-time” to unwind and relieve stress on a weekly basis. This measures 60 by 30 inches with smooth white finish. It has a rectangular shape with curved edges and bases for that sophisticated look. You can also get this model in other finish choices, from Almond, Ice gray, Cashmere, and a lot more. Bellwether is the tub of choice for those seeking a classic cast iron bathtub. This is a soaking bathtub with rectangular shape. The installation style of this bathtub is either alcove or tile in. It is best placed with its back to the wall. It has a total dimension of 60 by 32 inches. This bathtub has an overflow drain with the drain placement on the left. If you want to upgrade the look of your bathroom, then the easiest way to do so is to choose a bathtub with attention-grabbing shape. 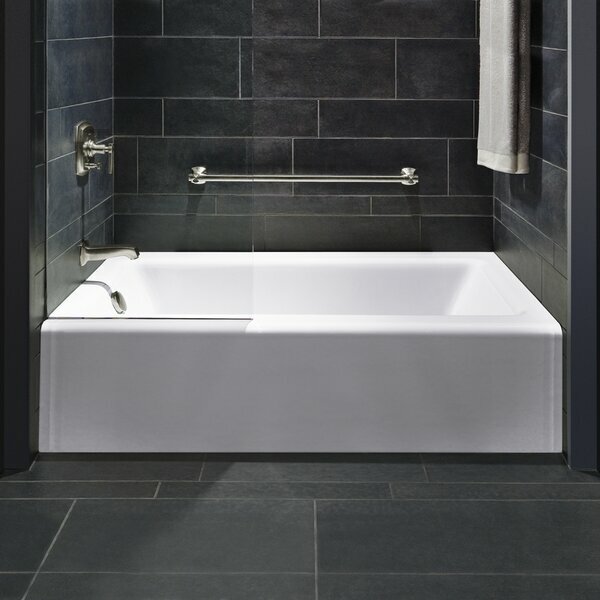 Just like this Underscore bathtub model by Kohler. 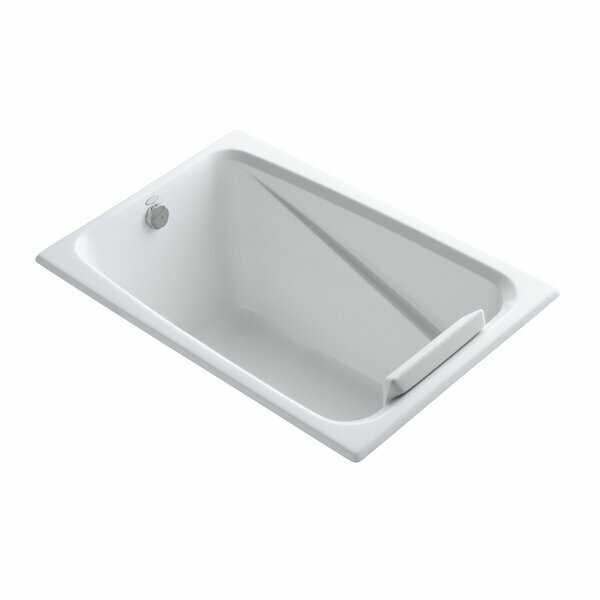 This is a drop-in bathtub with smooth curve edges and base. It’s a great tub if you’re looking for a statement piece in your bathroom, something that you can put in the middle of the room. This has a smooth oval shape with refine finish and style. The backrest is slightly sloped to support your back’s natural curve as you relax and get comfortable in the tub. It’s drain placement is at the center. There is nothing more satisfying than having your well-deserved soak and a relaxing hydrotherapy at the same time. If you want to achieve that and more, then this whirlpool Archer bathtub by Kohler is your perfect match. This is an alcove bathtub with a classic rectangular shape. This is one of the best-selling whirlpool bathtubs from the Kohler brand. Wondering what makes this acrylic bathtub a hit? 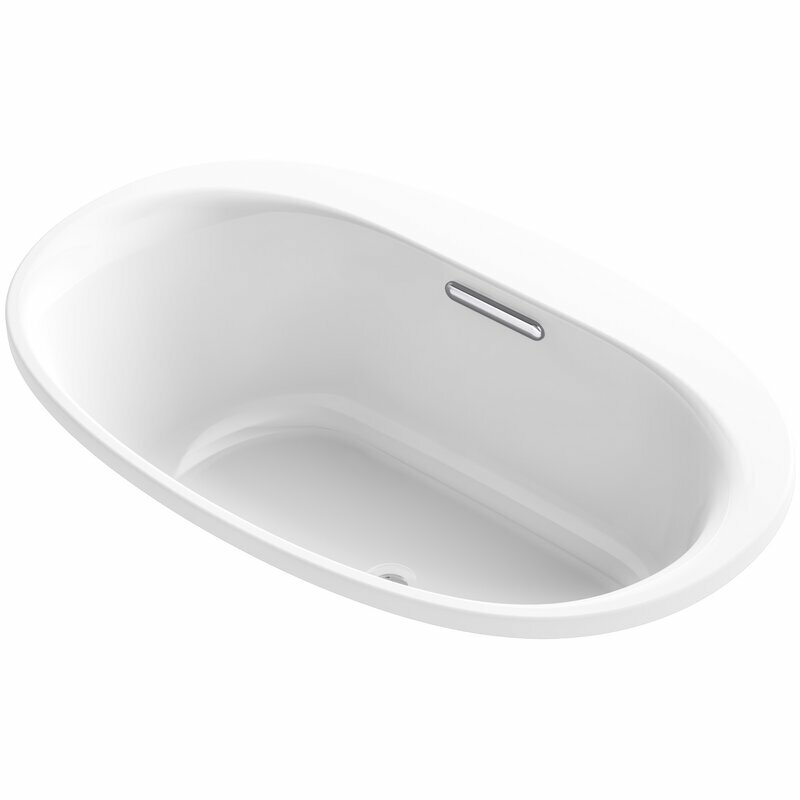 The acrylic material used in this tub is highly durable and has thick enamel coating. This makes the bathtub long-lasting. The drain placement can be placed on the left or right side, depending on your choice. All 8 water jets are fully adjustable and are located strategically to give you an ultimate hydromassage. This also has an overflow drain, so it’s suitable for deep soaking. A beautifull design and well-thought construction are what you can expect from the Greek bathtub by Kohler. Just as the name entails, this 48 by 32 inch bathtub is perfect for those longing to have their Grecian getaway but has a full schedule of work. 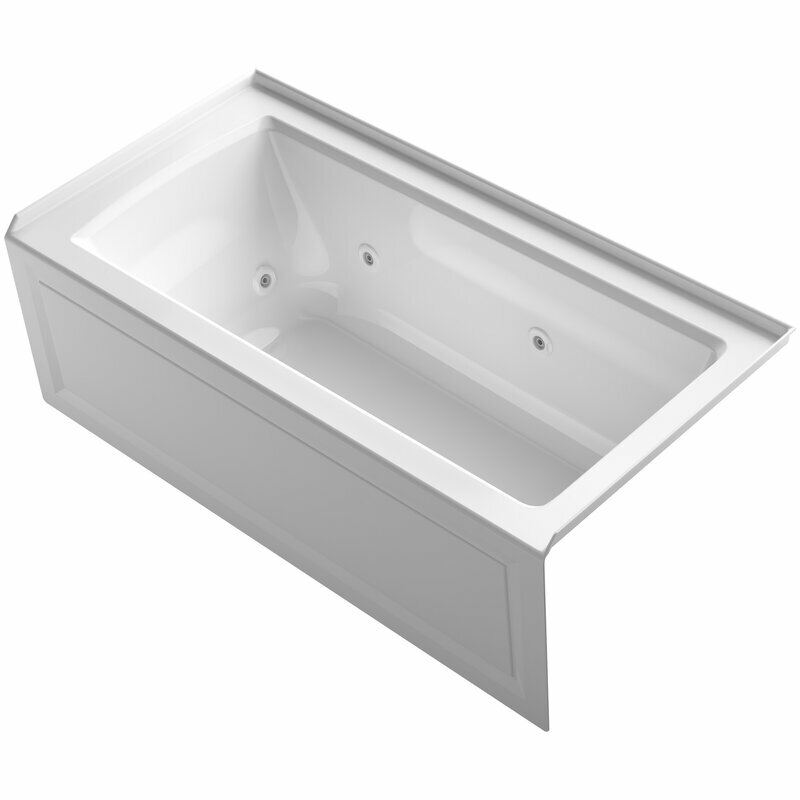 This bathtub is one of the best Kohler bathtubs with a deep basin. You can soak your entire body in this tub. And did we mention that this is a space-saving tub too? The drain placement of this tub is reversible, either left or right. 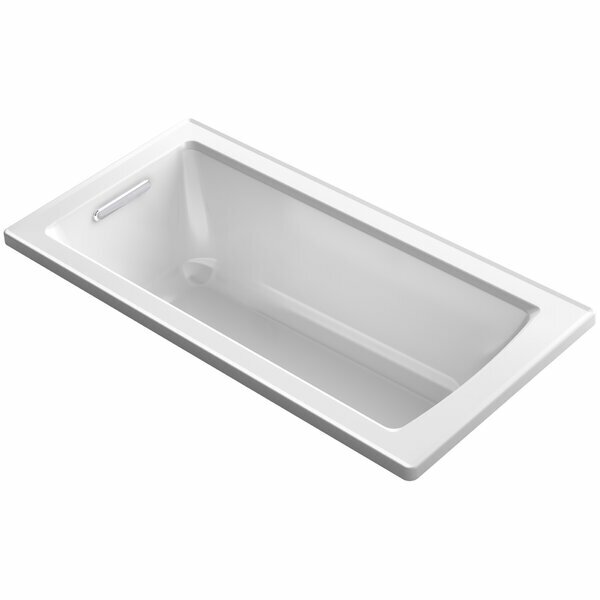 With its extra deep basin type tub, you can have a full-body soak any time you want. It is a drop-in, three wall alcove installation style, thus covering only space. Perfect for smaller bathrooms! This is also a bathtub certified by UPC or Uniform Plumbing Code, which guarantees the product’s top-notch plumbing and construction. Tea-for-two bathtub by Kohler is a soaking bathtub that has bigger space to accommodate up to two people. This is the best Kohler bathtub for couples who want to make bathtub soaking experience even more special and intimate. This has a total size of 66 by 36 inches. The timeless rectangular shape of the tub allows you and your partner to fully stretch your body for an optimum relaxation. The drain placement can either be on the left or right. The tub is best installed with its back to the wall. For those people who want a bathtub that can be used both indoors and outdoors, a freestanding bathtub is your best pick. Freestanding tubs are perfect for bathroom with balcony. These tubs allow you to see the beautiful view outside. 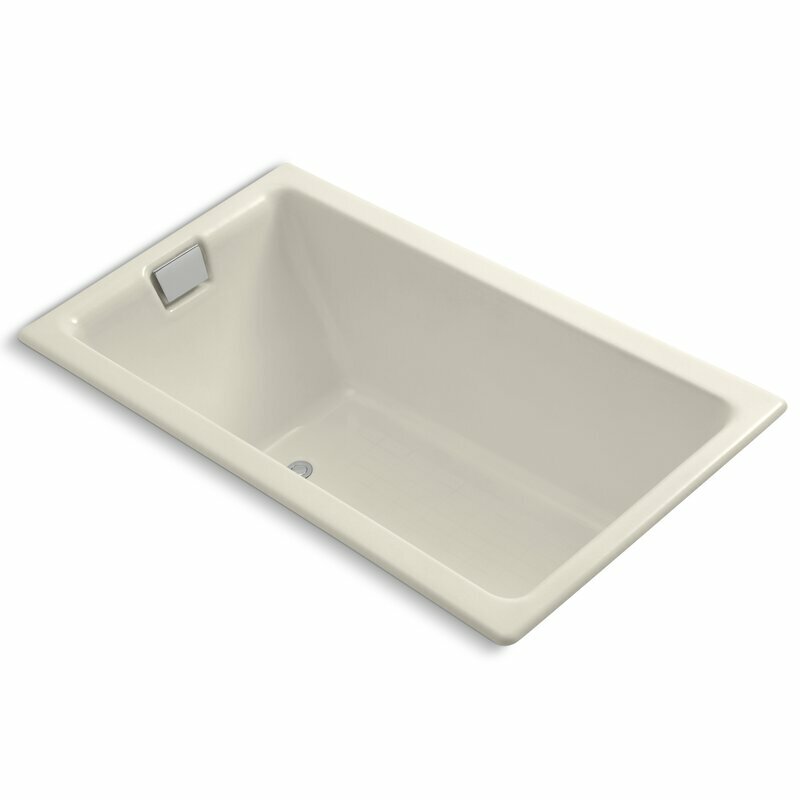 This 66 by 36 inches bathtub is particularly popular in mountain resorts and hotels. This is a very stylish tub that can be the ultimate statement piece in your bathroom. The oval shape is a refreshing sight to see, a big contrast to the traditional rectangular shape bathtub. This is one of the Iron Works Collection of Kohler, which has exceptional cast iron material. A beautiful and intricate looking bathtub can instantly change the look of your bathroom. This is why interior designers only recommend the best bathtub style to their clients. If you want to experience a hotel-like bathtub experience, then the Kohler Iron Works Historic Freestanding Bathtub is the one for you. For those who want a tub that can ease muscle pain and fatigue, the Kohler Archer Alcove Whirlpool Bathtub is the best choice. Have you found your best Kohler bathtub yet? Let us know in the comment section below!